This tuxedo themed inflatable sky dancer is custom shaped, printed, and designed in the theme of a tuxedo. 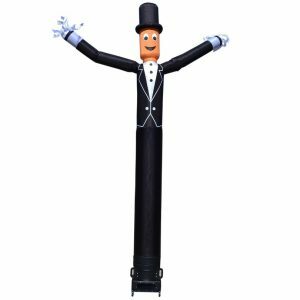 The tuxedo wacky waving inflatable arm flailing tube guy is one of the most popular products for sports bars, teams, and universities. This sky dancer can promote your business or event like no other product or service can. Our Uncle Sam Sky dancer is custom shaped, printed, and designed in the theme of America's Uncle Sam. 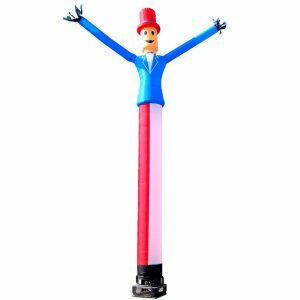 The Uncle Sam wacky waving inflatable arm flailing sky dancer is most popular for the Fourth of July celebrations. The Uncle Sam Sky Dancer brand can promote your business or event like no other product or service can. 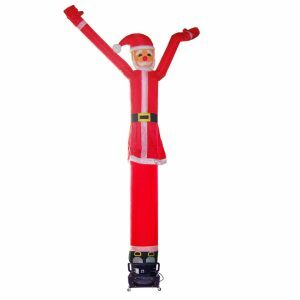 Our 15ft Christmas Sky Dancer is a wacky waving inflatable dancing Santa Claus that will get your business noticed! This dancing Santa will promote your Christmas sale or holiday event like no other product/service can. If you are looking for that extra something special to decorate your home or business that no one else will have, this is it! It is the largest Santa Claus air dancer you will find! Pair this with your other outdoor inflatables and lights. Chef Sky Dancer with shaped body, hat, and head. 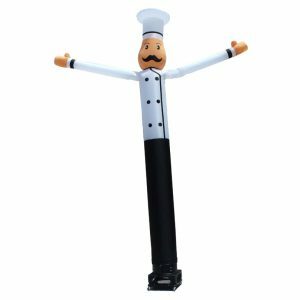 This inflatable chef shaped and themed inflatable dancing guy will promote your restaurant or food service business like no other product or service can. Get your food service business or event noticed today. Reach massive amounts of potential customers easier than ever before with a dynamically moving/dancing Chef Sky Dancer. 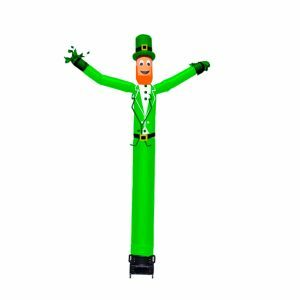 This dynamically dancing Leprechaun shaped inflatable sky dancer will promote your St. Patrick's Day sale or holiday event like no other product/service can. Gain exposure for your sales event today with this digitally printed inflatable advertising product.